Those in charge of County government are elected to office. The Constitution of the State of Idaho (Article 18, Section 6) provides for the election, every four years, of a sheriff, a treasurer, an auditor-clerk-recorder, an assessor, and a coroner. 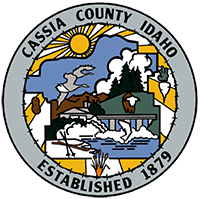 §31-703, Idaho Code (I.C. ), mandates that two county commissioners serve two-year terms and the third serves a four-year term. The four-year term alternates between the commissioners of each of the three districts. This assures that there will always be an incumbent county commissioner following each election. Each elected official is charged with constitutional and statutory duties and responsibilities in the operation of county government. Except for the county commissioners, these officials are empowered to appoint such deputies as are necessary (Idaho Code § 31-2003) for the "prompt and faithful discharge of the duties of...office."